Peel Tyre Service is Mandurah's largest commercial and retail tyre store, it has been trading for twenty years and is owned and operated by Matthew and Robyn Cook. We employ eight full-time staff and we are well known for being a very successful business, with many awards that are Local, State and National. This family business in an independent, and began in 1997 when the Cooks sold their home and crossed the Nullarbor with two small children to follow a dream. We have an old fashioned style of business, with a huge character to match and our reputation is second to none. 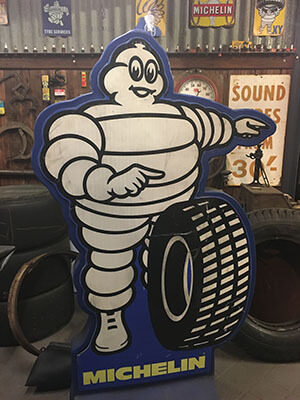 At Peel Tyre Service we cater for all your tyre needs, from small tyres like trollies and wheelbarrows, to your family passenger or 4 WD vehicle and up to heavy duty tyres likes trucks and buses. Peel Tyre Service provides service to the wider Peel Region and our community appreciates our "can do it now" attitude. Our customers range from senior citizens who like a coffee and a chat with their pink lady service, to the busy tradie needing our express service with an on-site bobcat flat, or the truck driver that almost falls asleep waiting in our comfy waiting room on the leather lounge. All sizes are based on factory specifications. We recommend that you cross check your search, with the tyres on your vehicle, and follow your vehicles placard recommendations. Peel Tyre Service wins the national Small Business Champions Award - Automotive. Contact us now for your tyre or wheel needs and see why we were voted best in the nation! Exciting news: Peel Tyre Service is now an Agent for Michelin Truck Tyres. Call our store on (08) 9581 8446 and we can quote you on some great truck tyre deals. Scroll or click and drag to see more! Click an image to open it in Facebook.